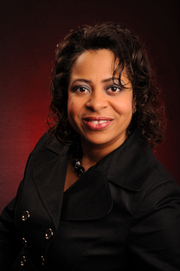 Hello my name is Wilhelmina Taylor and I am a realtor with Exit Bennett Realty. I am fairly new to real estate, but I have over 20 years of customer service experience. I am excited about helping my clients purchase or sell their home. It gives me great honor and pleasure to help service my clients. I am a hardworking and dedicated agent that loves to get the job done and the results expected. I am a very positive and upbeat person who loves to help people achieve their goals. Purchasing a home will be one of the greatest accomplishments you will ever make. I will be here to assist you in achieving your goal. Here at Exit, we have an awesome team with countless years of experience. My mission is to satisfy my clients by getting the results expected. I love being a relator. I enjoy empowering and educating my clients with making the best informed decisions. I am very professional and I listen very carefully. If you need an agent with integrity and morals then I am your agent!